Katie in Arches National Park. Finishing her 48 on Mt Jefferson. Katie lived in the Boston area growing up and moved to southern New Hampshire to pursue her first career after college. A decade later, she decided to move back to Boston where she currently lives and works in the finance industry. Katie has always been active in sports and the outdoors. She was a high school and college athlete and today continues to focus on her fitness. She also inspires young athletes as she is a high school boys’ volleyball coach. As for the outdoors, if there is an activity to pursue Katie either does it or at least will try it. 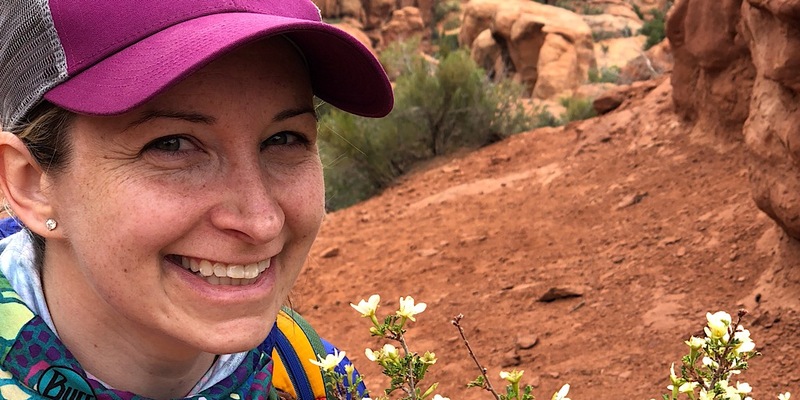 Hiking for Katie, however, has grown to be her passion. She was fortunate enough to grow up with the Blue Hills in her backyard with this leading to the discovery of the White Mountains to the north in 2009. 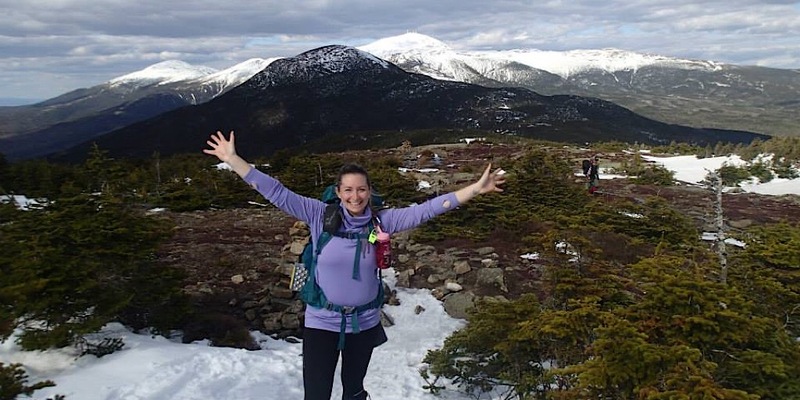 Even though hiking is Katie’s passion, it was an uphill climb for her to get to where she is. When she first began seeking out the big peaks, she suffered from a crippling fear of heights. It was very frustrating for her as she was constantly anxious and wasn’t able to truly enjoy the beauty of the landscape. Katie recognized that she needed to figure out a way to overcome this if she wanted to continue hiking. 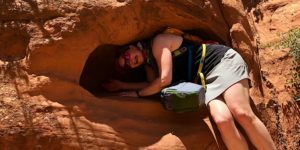 She used group hikes, rock climbing and other activities that pushed her comfort zone to eventually feel at ease. Her commitment to wanting to quell these fears came to fruition as she chose to finish her 48 on Mt. Jefferson by way of Caps Ridge Trail. Playing in the Devil’s Garden. 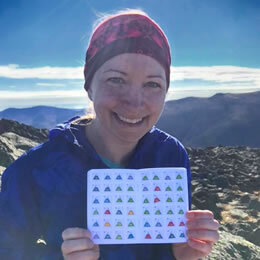 Katie has completed the NH 48, Belknap Range Peaks, two-day Pemi Loop and one day Presidential Traverse. She is currently working on her Winter 48, New England 67, 52 WAV, and section hiking the AT. 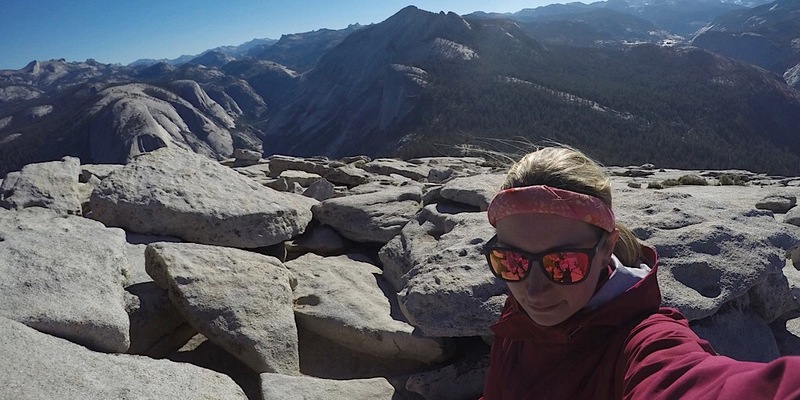 In addition, Katie has backpacked a section of the John Muir trail, summited Half Dome in Yosemite National Park, and has hiked in many of the National Parks. In August, she is planning a trip to hike Mt Whitney (tallest peak in the lower 48). For the past several years, Katie has been a Class 2 volunteer hike leader and instructor for the AMC. She focuses her teachings on navigation skills, backpacking, and winter hiking. She is also a Trailhead Steward for the US Forest Service in the White Mountain National Forest. Katie has also earned her SOLO Wilderness First Aid (WFA), CPR/AED, and LNT Awareness Trainer credentials with more coming soon as Katie is currently working towards obtaining her WFR (Wilderness First Responder) and AIARE Level 1 (Avalanche) certifications. 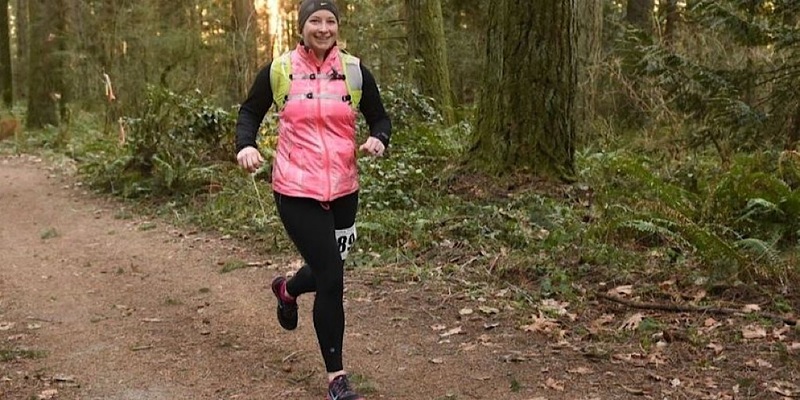 Katie participating in a Seattle trail running competition. Katie taking a selfie on Half Dome (Yosemite). Last but not least, Katie right here in the Whites (shown here on Mt Jackson). Welcome to the team, Katie! We can tell you’ll fit right in.